Mill Spring, N.C. – The U.S. Para-Equestrian Team presented by Deloitte wrapped up the team portion of competition at the FEI World Equestrian Games™ (WEG) Tryon 2018 on Friday. Rebecca Hart and Roxanne Trunnell performed the Team Tests in their respective grades, which were added to Thursday’s team scores for an overall result of 214.940%. The U.S. placed fifth out of 14 nations, and although the U.S. did not qualify for the Tokyo 2020 Paralympics through their participation in the WEG, they posted their best team result in a world championship competition. Their effort shows the progression of the para-equestrian dressage program in the U.S. Future opportunities to qualify a team or individuals for Tokyo exist through the FEI Para-Equestrian Team Ranking Allocation List and the Para-Equestrian Regional Team Ranking Allocation List over the next two years. 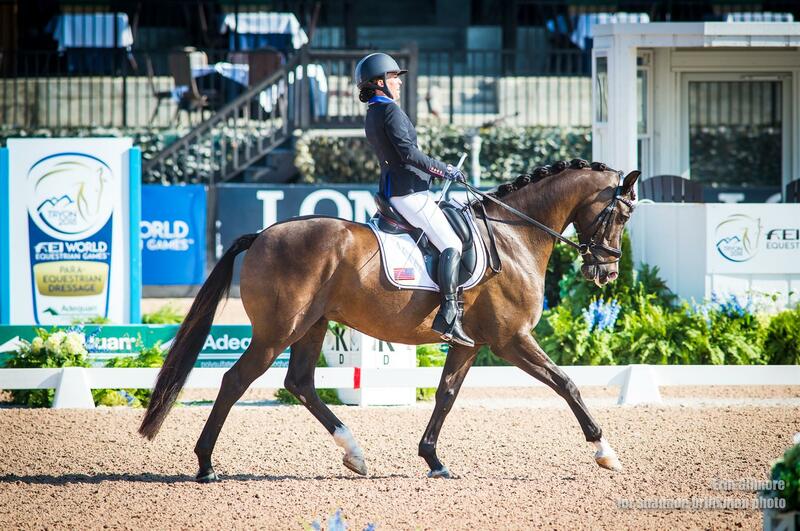 Following Wednesday’s bronze medal win in the Grade IV FEI Individual Test, Hart (Wellington, Fla.) found the perfect balance of preparation that carried into the arena on Thursday. She and El Corona Texel, owned by Rowan O’Riley, had a minor back step during the initial halt to begin the test. However, Hart stayed relaxed, which allowed her to maintain the nine-year-old KWPN gelding’s focus. As the test continued, “Tex” increased his energy and power. This provided the means to make up points, ending with an overall score of 72.676%. Roxanne Trunnell (Rowlett, Texas) and Dolton, Kate Shoemaker’s six-year-old Hanoverian gelding, competed in the afternoon session. They completed an accurate test for an overall score of 72.464%. She credits the smooth test to the advice she received pre-ride from her trainer Andrea Woodard. Para-equestrian dressage competition concludes on Saturday with the Freestyle in each Grade beginning at 9:30 a.m. ET. 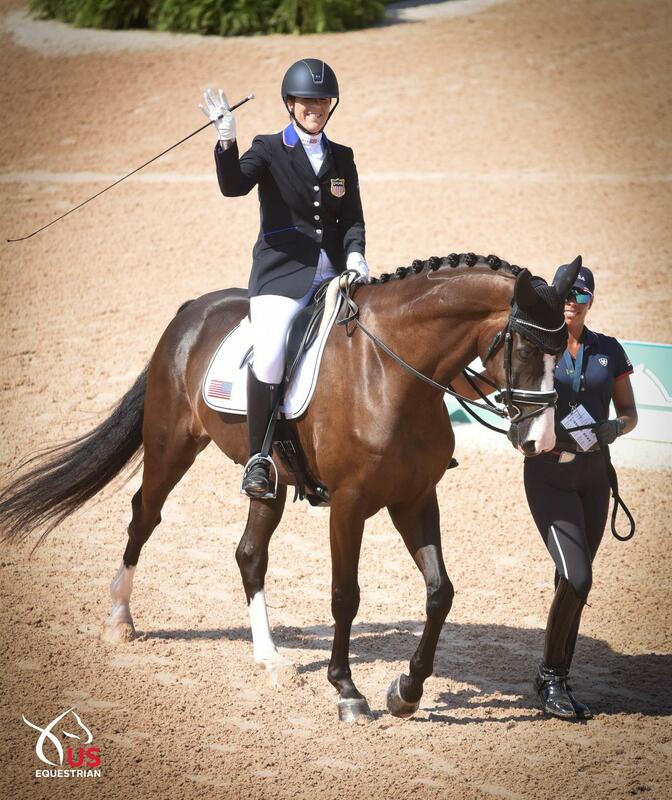 All U.S. Para-Equestrian Dressage Team presented by Deloitte team members have qualified to compete in their respective grades. Watch them live via the USA Para-Dressage Facebook page.